1. Open New VI or existing VI with JKI SM. 3. Open JKI SM Editor. 4. Close front panel of the VI. CPU usage increases - in my case (i5-4210M) up to 38 - 40%. Have to reset the LabVIEW. Has anyone observed silmilar behaviour? No, CPU usage is high all of the time. Yes, Mass Compile is enabled (always). I reinstalled JKI State Machine, but still nothing. 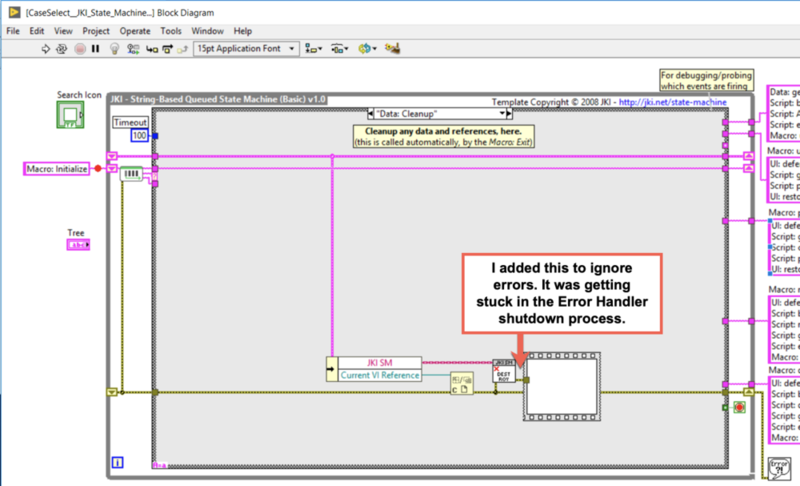 So, I have to remember to close the Block Diagram first or JKI SM Editor (Explorer in fact...).